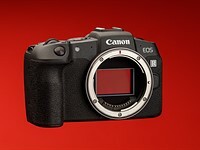 Now that the GH3 is coming down in price to sub-$1000 mark, I am considering one. For me it's $700 or lower before I bite. I doubt you will see the GH3 less than $700 in Australia. Probably right, but that doesn't concern me since most cameras I buy are from overseas. There are good local deals sometimes. I've seen them on EOS M, Nikon V1 and Pentax Q, and even taken advantage of some of them. Panasonic doesn't normally get steep discounts locally though. USA is more likely.